Cloudless skies and light refreshing breezes made rowing memorably wonderful over the weekend. But I need a new sun hat. I used to have an excellent sun helmet that I bought in Brookstones in Atlanta, Georgia. It was a sort of solar topee made of a light plastic mesh that kept the sun off while allowing the air to circulate and cool the bonce. It was the best sun hat I have ever had, but unfortunately it was lost over the side while sailing last year and I have been unable to locate anything similar since. Big floppy sun hats with a wide brim fly off into the water in any wind, and baseball caps are for dorks, as can be easily seen in this ghastly picture. The most stylish headgear for the rower is a traditional English cap with a narrow peak (above) but they are made of wool and are far too hot. 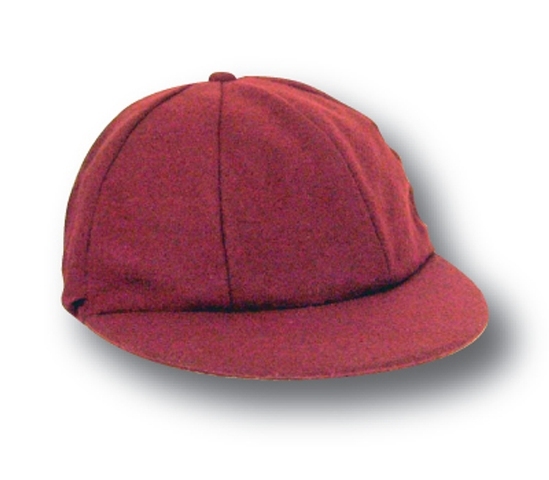 What I want is a baseball cap styled to look like a proper rowing cap. Where can I get such an article? You could try a traditional peaked cycling cap - they are lightweight and comfy.